Bladabindi is a virus which can steals your very personal information for nefarious purposes. The CERT said, the virus could infect Microsoft windows operating system and it spread through removal USB flash drives, pen drive, data cards, and other Malwares. 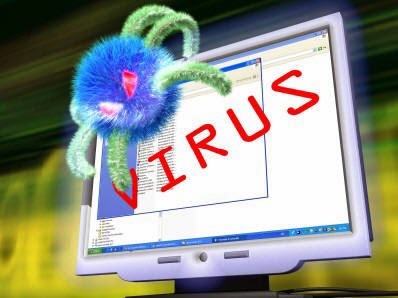 This Bladabinid virus steals sensitive user information from infected computer system. Bladabindi could also be used as malware downloader to propagate further malware and provide backdoor access to the remote attacker. What can Baldabidi virus do? 1. Bladabindi variants could capture keyboard press, control computer camera and later send collected sensitive information to remote attacker. 4. It can acquire as many as 12 aliases to conceal its real identity and later affect a computer system or personal information of a user. 5. The virus possesses a unique ability to acquire a safe network domain id in order to falsely add itself to the firewall exclusion list and bypass a user’s firewall mechanism. 6. Copying themselves into the root folder of a removable drive and create a shortcut file with the name and folder icon of the drive. When the user clicks on the shortcut, the malware gets executed and Windows Explorer is opened and it makes it seem as if nothing malicious happened. 7. Attack by the virus could result loss of important proprietary data of a user like “computer name, country and serial number, Windows user name, computer’s operating system version, Chrome stored passwords, Firefox stored passwords, the agency said in the advisory. 8. It checks for camera drivers and installs a DLL plugin so it can record and upload the video to a remote attacker. How to Protect from this Virus? 9. Enable firewall at desktop and gateway level, guard against social engineering attacks and limit user privileges.